It’s that time of year again. Beaten down by rampant consumerism, we’re all left wondering how to balance work and pleasure. 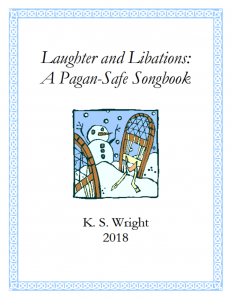 Laughter and Libations is a survival guide of sorts, helping people to drink and be merry during a season over-powered with puritanical messages. This year’s edition includes recipes for favorite winter drinks along with three categories of songs: Traditional Treasures, Simple Substitutions, and Ridiculous Rewrites. Traditional Treasures can be traced back to a less than pious origin whereas Ridiculous Rewrites takes an originally pious hymn and alters it to appeal to our most base and carnal instincts. Do you have a favorite song you would like to have included next year? 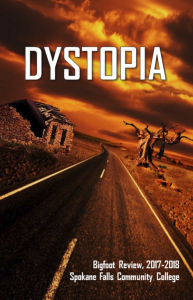 Maybe a hated song you’d love to see rewritten? Post them in the comments. 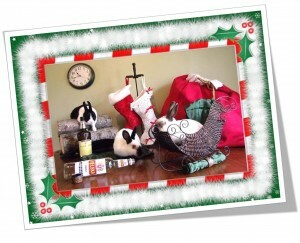 This entry was posted in Blog and tagged Laughter, Pagan, rabbits. Bookmark the permalink. ← ISBNs, Copyrights, and Barcodes, Oh my!